Anil Kapoor and Madhuri Dixit starred together in a classic called ‘Beta’ 26 years ago which was directed by Indra Kumar and this team is coming back together with their upcoming. 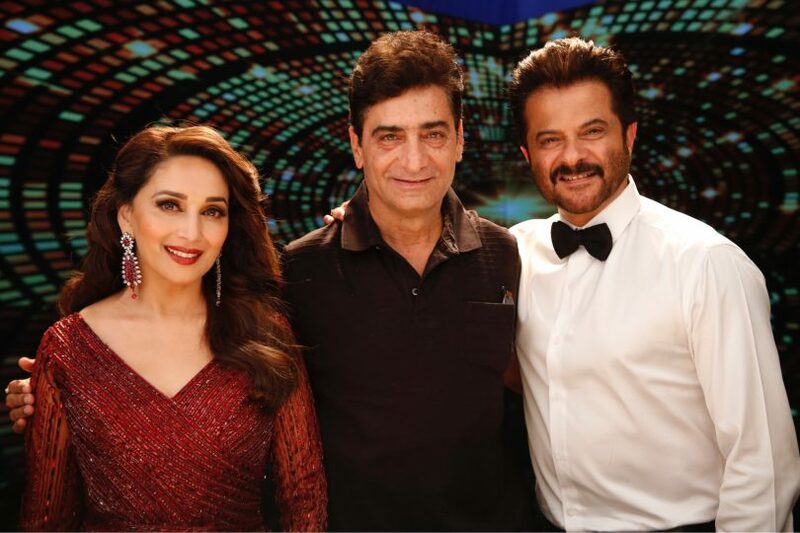 Total Dhamaal is a sequel to ‘Double Dhamaal’ which was a blockbuster in the first place while Anil and Madhuri are joining the cast for the first time. Comedy film has begun it’s shooting already with Ajay Devgn in the lead and rest of the star cast retaining their parts. Aamir Khan himself came in the play to do the muhrat clap for the film and wished the entire team a very good luck. Madhuri was at the peak of her career when she left the films and decided to start a new life in America but before she had been paired opposite Anil in many blockbuster films and both of them had certain loyal fan base to them. After nearly 3 decades they will be coming together and the franchise is already a very big name in itself though it will be one of the most massive investment in comedy of all time in Indian cinema. Indra Kumar has directed Aamir and Ajay together in a blockbuster comedy in 90’s called ‘Ishq’ and since than they have never worked together. Arshad Warsi and Rietish Deshmukh practically have their careers depending on the bunch of comedy franchises such as ‘Golmaal’ and ‘Housefull’ respectively. Their careers are very much fascinated from these sources and they are being inclined towards Dhamaal franchise which stars them together since the first film. In more than one way this film is quite special for the entire franchise because envelope is being pushed quite a lot as far as the scale of the film is concerned plus the distribution would be done accordingly when it releases in December of 2018.